Brett always lamented not being able to hold his own in Spanish with his grandmother, who had immigrated to the U.S. from Chile early in her life. It had been his father’s first language as well. But after Brett’s summer as a Kathryn Davis Fellow, the three generations could finally have a conversation entirely in the language of their heritage. “In addition to being a social justice opportunity, this fellowship was an opportunity for me to connect with my roots,” Brett explains. 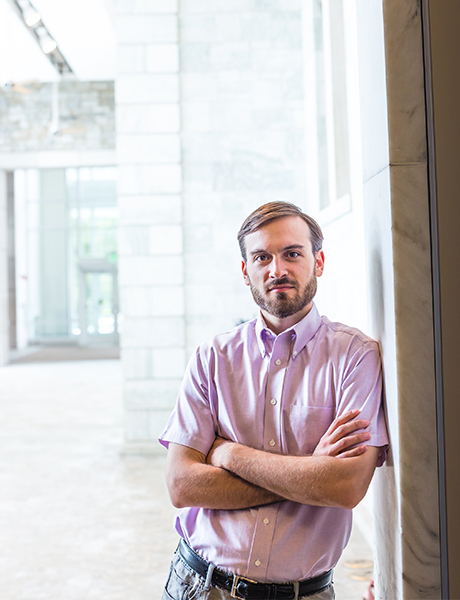 Most important, a summer at Middlebury gave him the fluency he needs to understand his clients. At Catholic Charities New York, Brett provides legal representation for the most vulnerable refugees and immigrants: unaccompanied children. A year into his job with Catholic Charities, Brett cofounded Terra Firma, an innovative medical and legal partnership in New York City between Catholic Charities New York, Montefiore Medical Center, and The Children’s Health Fund. Terra Firma is the first medical-legal partnership in the U.S. specifically for unaccompanied children in the community, and it is designed to provide all of the services immigrant children need under one roof. There Brett meets with children, prepares their documents, helps them get ready for court, and coordinates any necessary care with doctors and psychologists.